A Brain Bug paint test from Paul Verhoeven’s science fiction action film Starship Troopers. 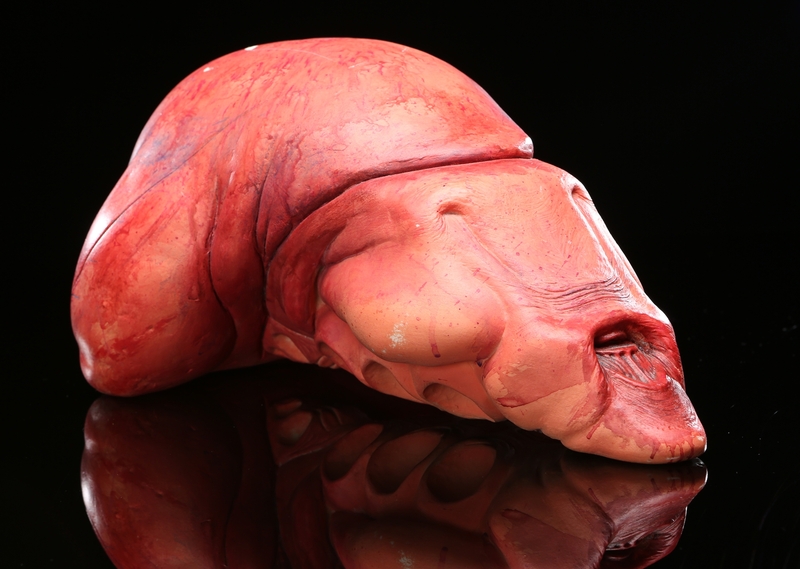 Tippett Studio created maquettes of the film’s various bugs as a three-dimensional representation of the creatures that would be largely digitally animated; they were tools for shot planning, lighting reference, and other purposes. 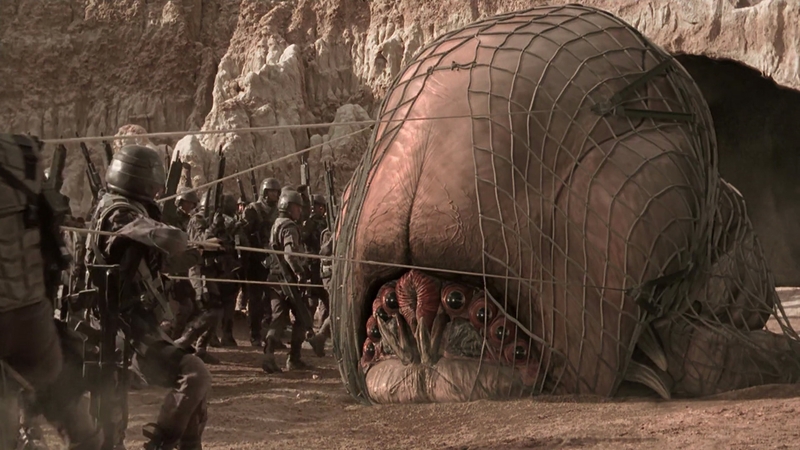 Phil Tippett is credited as Creature Visual Effects Supervisor for the film.Tippett was nominated for Best Visual Effects for his work on this film at the 70th Academy Awards®. 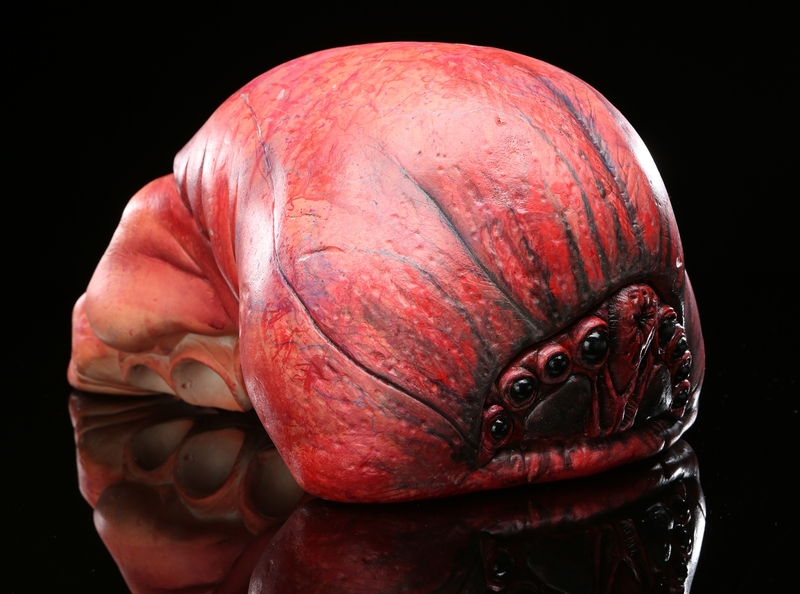 This Brain Bug maquette was sculpted by Peter Konig and is cast in resin. This test is painted with red tones and features vein details. 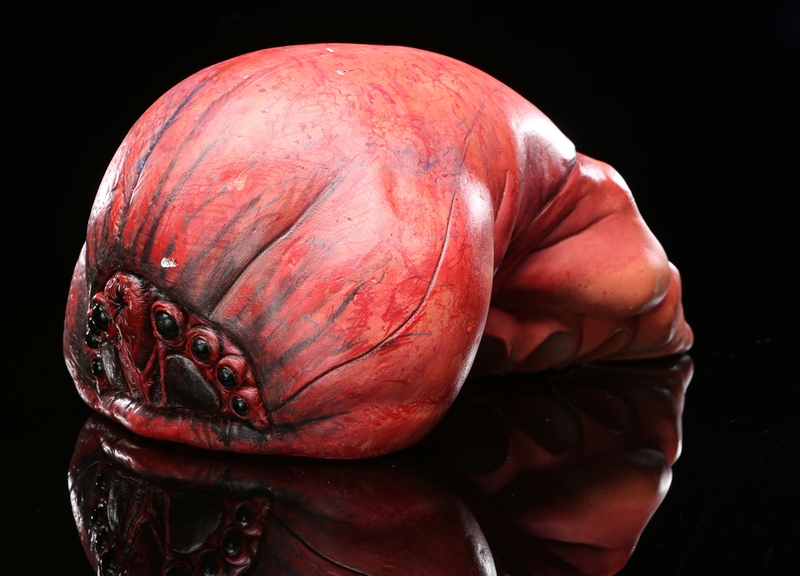 Notably, this Brain Bug has a wide set face in comparison to the other maquettes produced for this film and is missing its legs.